Our fee includes up to a maximum of 2 hours playing time in either sets as below or to suit your needs. 2 X 45 MINUTE SETS OR 2 X 45 MINUTE SETS PLUS 30 MINUTES SET OR 2 X 60 MINUTE SETS PRICES START FROM £900.00 WITHIN A 50 MILE RADIUS FROM BRIGHTON, EAST SUSSEX. FURTHER TRAVEL AND ACCOMMODATION COSTS ADDED OUTSIDE OF THE 50 MILE RADIUS FROM BRIGHTON. Vox Beatles were excellent and entertained us all night . 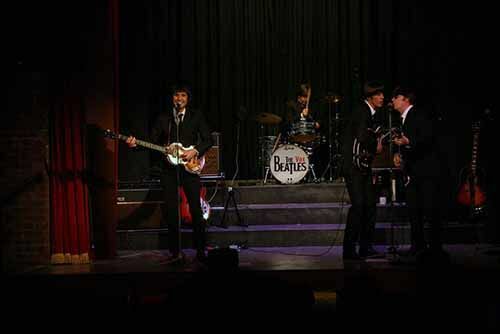 There was no complaining about the lack of stage lights , they rebuilt a fab stage set with their own lights . The music was excellent with all members singing their songs and sounding fabulous. 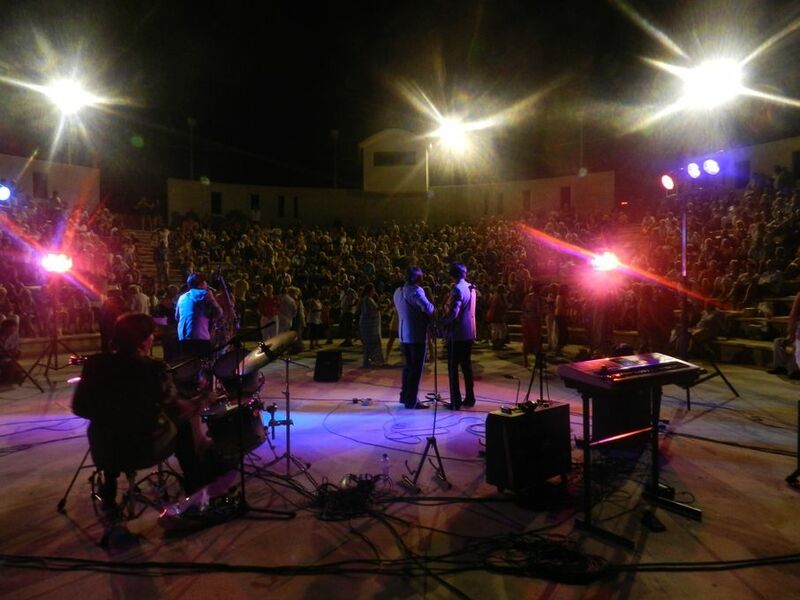 The 90 strong crowd were cheering for more more and more , as the delivered hit after hit . 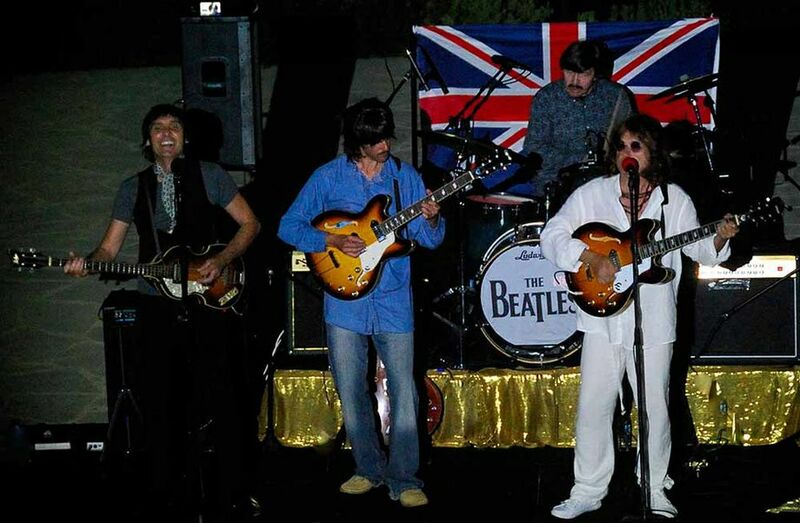 I would recommend any Beatles or non Beatles to book a professional tribute band - Vox Beatles ! 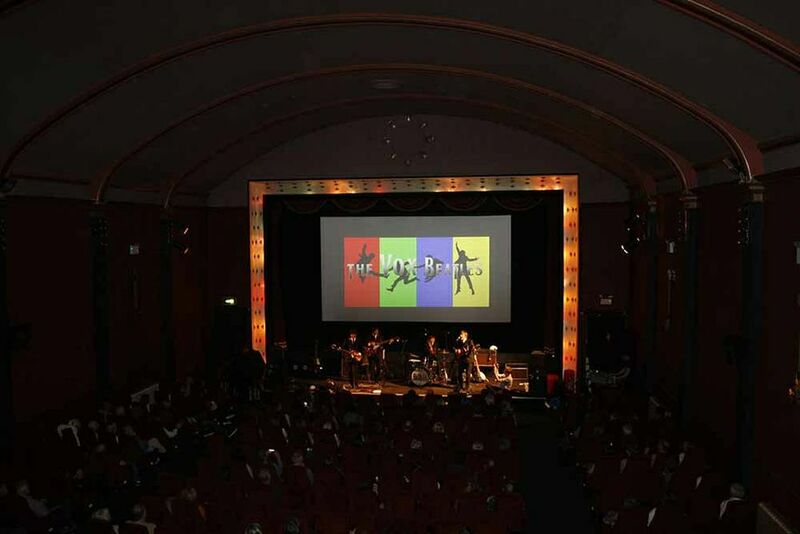 Festival finished yesterday and it was a great success, but the highlight was the The Vox Beatles on the first Saturday evening! We have had so many people telling us how much they enjoyed your gig. On behalf of the Committee I would like to say a huge thank you to you all and hope that we can arrange for you to visit us again. Usually interval breaks of approx. 20-25 minutes. We will try and accommodate any requests. Normally at least a 12ft by 10ft space. 2 x 45 minute sets or 2 x 45 minute sets plus a further third set or 2 x 60 minute sets. All adaptable to suit your own requirements. 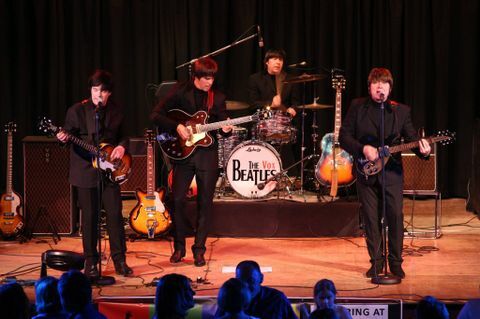 Professional Leading Experienced Beatles Tribute at it's Best !